The Grand Prairie AirHogs and the Fort Worth Cats play in the same league, and are both location in North Texas, but really, the similarities end there. When you compare ballparks, the differences show through.Old-school versus modern, manual scoreboard vs. video board, river vs. swimming pool. 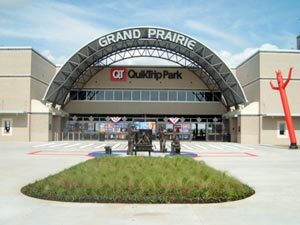 That’s how La Grave Field and QuikTrip Park could be described.QuikTrip park opened in 2008, bringing the Grand Prairie AirHogs to life. Nestled in the parking lot between the Verizon Wireless Theater and Lone Star Park, QuikTrip is easily one of the nicest parks in independent baseball. 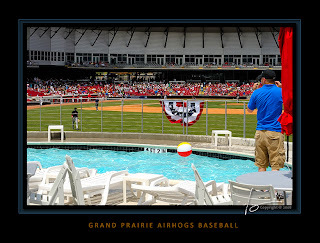 The swimming pool in center field is no joke, what better way to beat the heat than sitting in the shallow end waiting for a home run ball to come splashing your way.Kids getting tired of the game? They can run around in the Grand Prairie Recreation & Parks Wide World of Parks playground off the first base foul line. Or, maybe you just want to watch the game. With comfortable seats stretching from foul pole to foul pole, you can catch the action at a good angle anywhere you sit.The stadium features it’s own mini convenience store (A QuikTrip, naturally) ballpark fare from stands named for famed manager Pete Incaviglia (Inky’s Place) and the Left Field Spirits & Grill restaurant/sports bar is a hit even if the ‘Hogs aren’t getting many hits. Complete with a row of luxury suites about the main concourse, QuikTrip Park brings back memories of Arlington Stadium just outside the shadow of Rangers Ballpark in Arlington. 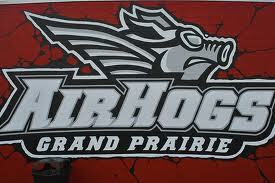 GRAND PRAIRIE, Texas – The Grand Prairie AirHogs have partnered up with Sports Radio 1310 “The Ticket” to hold a “Guys Night Out” on Thursday, July 28 at QuikTrip Park. 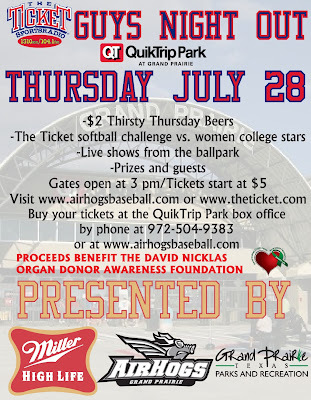 Although the AirHogs are on the road that night, the event, which is sponsored in part by Miller High Life, will feature the usual Thirsty Thursday promotion, with $2 16-ounce beers. 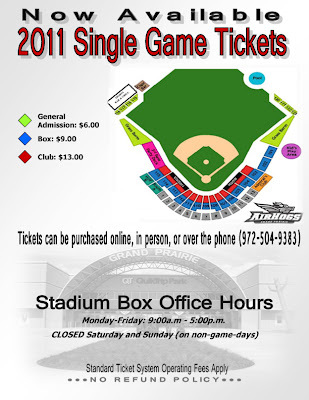 The Ticket will broadcast live from QuikTrip Park that day, beginning with “The Hardline” when gates open at 3 p.m. There will also be a special fastpitch softball game at 7 p.m., featuring your favorite personalities from The Ticket taking on a team of female collegiate stars. Tickets for the night are $5, with a portion of the proceeds benefitting the David Nicklas Organ Donor Awareness Foundation, the official charity of the AirHogs. Private suites are also available with full catering for $300 a suite (up to 20 people), and the all-you-can-eat, dollar-drink indoor Officers’ Club will also be open, with tickets there at $25 each. The Nicklas Foundation is a non-profit organization that was founded 1995 by Rodney and Isibelle DeBaun after Rodney received a life saving heart transplant in October of 1993 at the age of 36. The foundation is named for Rodney's heart donor, David Nicklas, a 22 year old Air Force Academy graduate who was involved in a fatal motorcycle accident. It was the first case in medical history where a donor's family requested a specific recipient by name. In another medical rarity, David's heart was a perfect match for Rodney. Today, 15 years later the DeBaun family works hand in hand with the Nicklas family to promote organ donor awareness through personal appearances, scholarships and by providing free housing for people who are waiting for a transplant who do not live in close proximity to a transplant hospital. At this moment, more than 100,000 people in the U.S. are waiting for an organ. Four thousand more people are added to the national waiting list each day. Each of these people is in desperate need of a kidney, liver, heart, or other organ. More than 6,500 people a year -- about 18 a day -- die before that organ ever becomes available. Organ donors are always in short supply. 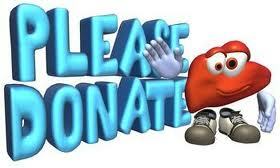 There are far more people in need of a transplant than there are people willing to donate an organ. 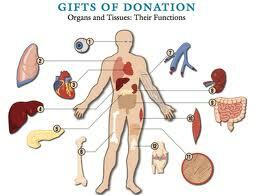 Most of the organs that are available come from deceased donors. When you fill out an organ donor card with your driver's license, you're agreeing to donate all or some of your organs if you die. A smaller number of organs come from healthy people. About 6,000 transplants from living donors are performed each year. You might have wondered about donating an organ -- either to a friend or relative who needs an organ right now, or by filling out an organ donor card. Before you decide to become an organ donor, here is some important information you need to consider. Who can donate an organ? Just about anyone, at any age, can become an organ donor. Anyone younger than 18 needs to have the consent of a parent or guardian. For organ donation after death, a medical assessment will be done to determine what organs can be donated. Certain conditions, such as having HIV, actively spreading cancer, or severe infection would exclude organ donation. Having a serious condition like cancer, HIV, diabetes, kidney disease, or heart disease can prevent you from donating as a living donor. Let your transplant team know about any health conditions you have at the beginning of the process. Then they can decide whether you're a good candidate. Do my blood and tissue type have to match the recipient's? It's easier to transplant an organ if the donor and recipient are a good match. The transplant team will put you through a series of tests to determine whether your blood and tissue types are compatible with the recipient's. 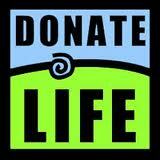 Some medical centers can transplant an organ even if the donor's and recipient's blood and tissue types don't match. In that case, the recipient will receive special treatments to prevent his or her body from rejecting the new organ. How can I become an organ donor? To donate your organs after death, you can either register with your state's donor registry (visit OrganDonor.gov), or fill out an organ donor card when you get or renew your driver's license. To become a living donor, you can either work directly with your family member or friend's transplant team, or contact a transplant center in your area to find out who's in need of an organ.